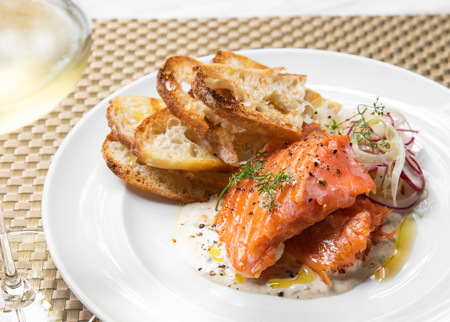 There are smoked salmon dishes, and then there’s Mary’s, a new dish on the menu at this iconic steakhouse. The gingerly smoked fish seasoned with cracked black pepper is thickly sliced and served over a caper cream sauce garnished with pickled shaved red onions and fennel. A stack of grilled crostini comes along for the sweet ride. 1200 McKinney St.
Find the full article at the following link >> https://www.texasmonthly.com/food/best-dishes-texas-2018/ /.